We have been working on songs for this Saturday’s “Summer of Love Show.” Songs from 1967. I wanted to write about Jimi Hendrix, but everything I started to write seemed so cliche. Still, I’m sort of stubborn and obsessive, so I’m pushing forward anyway. So much has been said and written about Hendrix and his music. He was a “boundary-crosser” and a channel. He was a lefty, who played right-handed guitars, backwards and upside down. He always down-tuned a step. The guitar he played was just an extension of his being. Hendrix conducted noise and volume like they were his wild little children. Feedback was always a prime sonic element. He was steeped in the Blues and R&B, but his musical explorations transcended genre. He specialized in that “high, mercury sound” that Dylan talked about. 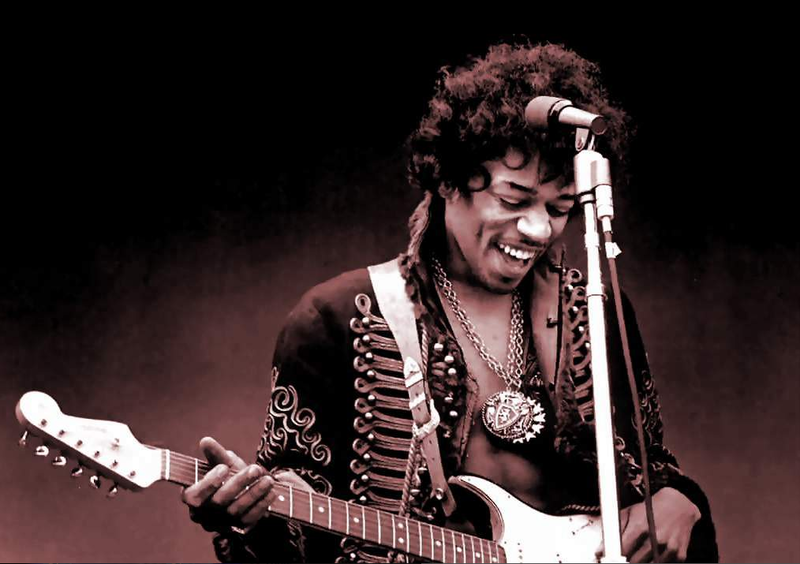 Psychedelic always comes to mind when you think of Hendrix, he was kind of a technicolor dream of a being. And the definition of the word “psychedelic” describes Hendrix’ music quite nicely: “characterized by… distortions of perceptions, altered states of awareness.” The first notes from “Purple Haze,” an ode to LSD, the first single released by the Jimi Hendrix Experience, included the “Devil’s Interval”, the “Diabolus in Musica.” So audacious and upfront. Breaking open the head with sonic waves! Yes, Professor… flawed, human… kind of goes with the territory… I’ve read some great books on Hendrix, especially Charles Shaar Murray’s “Crosstown Traffic.” I do think Hendrix’ paratrooper experiences played into his psychology and his music. “Machine Gun,” and “The Star Spangled Banner” are two amazing pieces of music infused with the sounds of war and mayhem!